Mumbai, Feb 2 : Actor-filmmaker Kamal Haasan says Bollywood superstar Salman Khan found "Vishwaroop", the Hindi version of his controversial film "Vishwaroopam", on a par with international standards. "He (Salman) liked it immensely. He thinks it is of Hollywood standards. 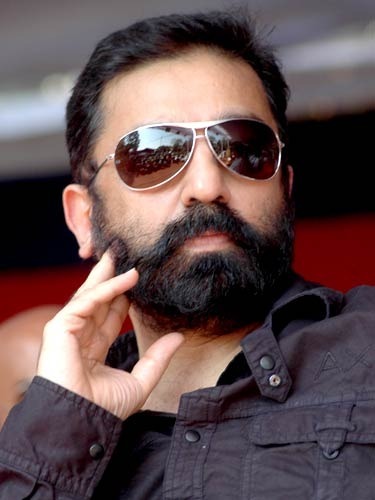 He liked everything about it," Haasan said Friday at a special screening of the film here. Kamal Haasan is happy with the response to the movie in north India, but still awaits a decision regarding the ban on the movie's Tamil and Telugu version in Tamil Nadu. Kamal Haasan was in Mumbai since Jan 31 promoting "Vishwaroop". The Tamil and Telugu version, "Vishwaroopam", still remains banned in Tamil Nadu following protests from Muslim groups over certain scenes in the movie, which seem derogatory to their community.